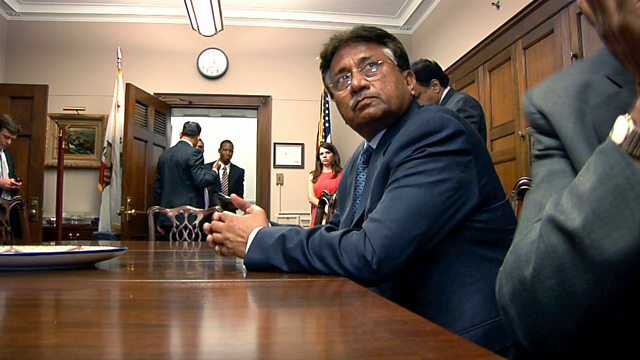 A Storyville documentary chronicling one voter's journey to discover if democracy is possible in Pakistan and looking at a controversial leader, Pervez Musharraf. As Pakistan prepare for their 2018 elections, Insha'Allah Democracy follows film-maker Mo Naqvi during the country's last election, when he was a first-time voter and wanted to back a candidate who would prevent Pakistan from becoming a terrorist state. But Mo faced a tough choice - either vote for religious hardliners or a secular liberal leader who happened to be a former military dictator. Insha'Allah Democracy chronicles one voter's journey to discover if democracy is possible in an unstable Muslim country, whilst providing a fly-on-the-wall exploration into a controversial leader, Pervez Musharraf.